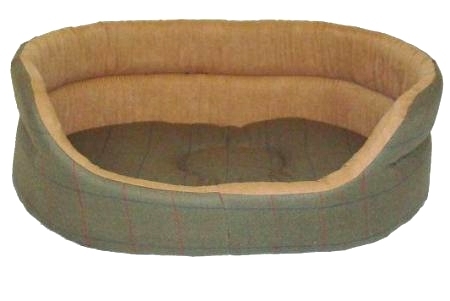 The Hunter Tweed slumber dog bed is a warm comfortable bed with side bolsters and removable base. With its subtle blend of warm earth colours and rich mixture of colour woven tweed and faux suede textures, the Hunter Tweed range evokes the essence of the countryside. The Hunter Tweed slumber bed has a deep polyester fibre base attached with velcro fastenings. It is easily removable for washing and is quick to dry.